If you’re new to consuming cannabis, you’ll have heard the words Indica and Sativa, but what are they? Which one is better? Isn’t all weed the same? Wellsir, they’re both good but for different reasons. It really depends on what kind of effects you’re going for. Let’s dig in! Cannabis is one of the plants in the Cannabaceae family. 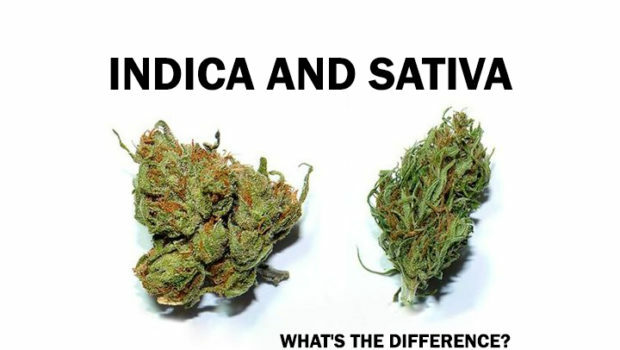 Indica and Sativa are different species of cannabis. Different strains exist of each. Due to many many years of cultivation and cross breeding, some people think there’s actually no such thing as a pure Indica or Sativa strain anymore, but you can do your own Googling about that. Indica geographically originally came from India, and Sativa from Mexico, Central America and Southeast Asia. Much like everything else, cannabis plants come in both the male and female variety. The male plants do not produce flowers (what you smoke). The female plants produce the flowers, and they need to be separated from the males. If male and female plants are not separated and he pollinates her, she’ll begin to grow seeds in her buds and focus her plant energy on that. The result is any weed cultivated from this plant it will be of low quality. Female plants which do not get pollinated will, under proper conditions, grow big healthy flowers which contain these little frosty sticky things called ‘trichomes’, which contain the THC. Smoking the trichomes is what gets you high. There’s way more to it, but that’s a basic quick n’ dirty version lesson. Smoking Indica, or, In-da-couch will give you a nice relaxing body buzz. People often use it to help with sleep issues, pain and symptom relief, or simply to chill out to the max due to the higher levels of CBD in it. A lot of people use Indica for it’s medicinal properties. Appearance: dense and compact. Shorter and wider leaves, dark green in colour. Producing more of a brain buzz, Sativa gives you more motivation, energy, creativity. You’ll also laugh a lot more. If Indica is a downer, Sativa is an upper. You wouldn’t smoke a big Sativa joint before going to bed, I’d hope. I’m not your mother though, do whatever you want man. Appearance: fluffy and spread out. Longer, more narrow leaves, lighter green in colour. * Some people with anxiety find that Sativa actually increases the effects of it. Everyone is different. Try a micro dose and see how well you do. 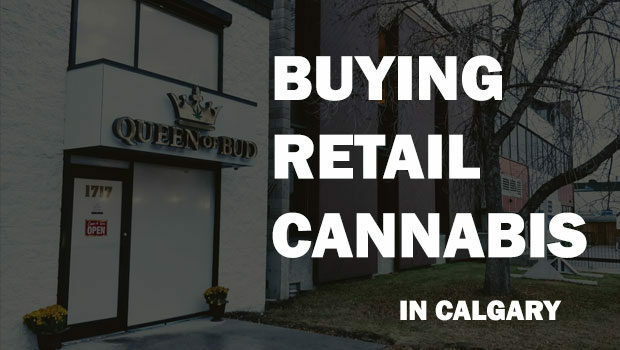 These days most cannabis you’ll get in the retail stores will actually be hybrids of both Indica and Sativa. 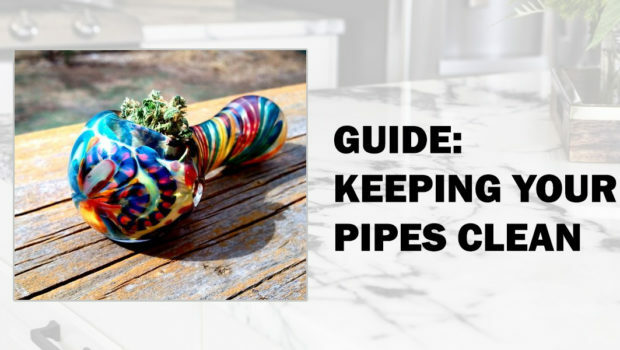 They’ve both have been cultivated and bred and cultivated even more over many many generations and decades – you’re pretty unlikely to come across an actual pure Indicia or Sativa strain anymore. When you’re ordering an Indica strain, you’ll be getting something that is Indica dominant, so like 80% Indica and 20% Sativa. CBD (Cannabidiol) is a chemical compound found in marijuana, however it is not psychoactive. CBD will not get you high. 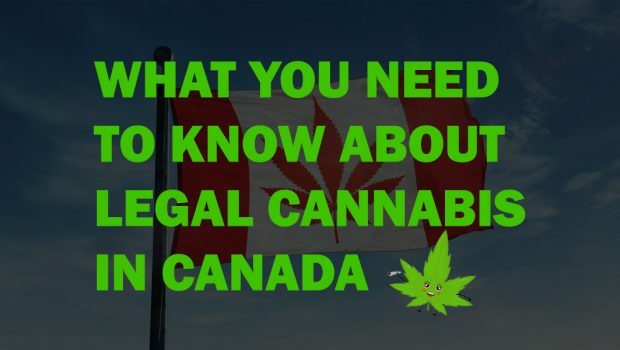 You can consume it in a variety of ways too, including drops, oils, tinctures, infused edibles, suppositories, bath bombs, powder isolate, creams, vape cartridges, capsules, face masks, and many many other products. It includes a whole slew of medicinal side effects, such as pain relief or helping with sleep. There are over 100 different chemical compounds found in weed, which are known as Cannabinoids. You can read the science behind it more in depth, here. There isn’t any regulation for CBD, so there aren’t a whole lot of scientific studies backing up claims (though there are some) about what it can actually do. That said you’ll find no shortage of extremely detailed and helpful information on the topic if you Google it. Even though CBD is natural and generally considered safe, it can have interactions with other medications. It can cause diarrhea and fatigue, and other things, but they’re pretty rare. Always speak to your doctor before taking medicinal products, natural or not, don’t just believe everything 100% you read from the internets hey.